Navigation and coastal piloting are fascinating subjects; the more extended your boating, the more of an expert you need to be. There are some rules that apply to everyone on the water, no matter what sort of boat you are operating. Learn them here. What rules should we follow when boating with friends and family? If they are expected to perform duties onboard make sure they know this (and how to do it) before you give the order to swab the deck or handle lines. Make sure each guest has a good pair of non-skid deck shoes. If you are planning to visit a foreign port or centre when boating, be sure to let your friends and family know in advance what documents and ID they need to bring. Make sure your guests know that your times of departure are based on tide, current, weather conditions and time to make the next destination. You should explain that they should be on board, have gear stowed and be ready to leave well before the departure time you have set. Familiarise friends and family with boating safety tips and emergency procedures before leaving the dock. Explain fueling procedures, docking and undocking plans, etc. Make sure someone onboard is able to take over for you and operate the VHF radio to ask for help should you become disabled. What are the requirements for life jackets? If the boat is under six metres in size For more information on life jacket requirements visit Maritime NZ’s page on lifejackets. What about boating with Kids? Recreational family boating is a great way to spend time with your children. There are many tasks that can be assigned to youngsters to teach responsibility and being out in nature provides endless lessons for the young boatie. When boating with kids, consider family boats that have a cuddy cabin. Runabouts, bow riders and deck boats, even some centre console fishing boats are sometimes equipped with a small cuddy cabin to offer a comfortable area to kids if they need a nap or are getting too much sun. Buy a good lifejacket or life vest with a collar that turns a child face up in the water. It must have strong waist and crotch straps, a handle on the collar, and preferably be a bright yellow or orange colour for good visibility. Attach a plastic safety whistle to the lifejacket and teach the child how to use the whistle, and practice using it. Constant vigilance is required around kids and water, particularly with young children who aren’t confident swimmers. Restrict kids to safe areas where falling overboard is unlikely, and keep a close eye to ensure they don’t do anything dangerous. Additionally, however, children learn to be safe boaties through the example you set them. If you complete a boating course, carry out regular safety checks, insist on following safety guidelines and don’t drink while boating, your kids will learn to be similarly responsible. When they’re old enough, letting them steer the boat or dinghy or operate the radio are all good ways to help them develop a healthy interest in boating – provided they’re adequately supervised. What about Pets on board? Taking ‘Man’s Best Friend’ or any other furry creature on board a boat requires considerable planning and consideration. If your pet is shaking at the sight of water or scared by the engine sound it’s going to be difficult to change. However if you and your pet are keen, there are a few things you might want to consider. The truth is, not all dogs can swim. And not all those that can swim are great swimmers. Additionally, water or weather conditions can cause problems even for a pet that is typically a strong swimmer. Any dog can get fatigued or disoriented. Older dogs, especially, can tire easily. Pets with low body fat can have trouble when exposed to water for long periods. Health issues, such as hip or joint problems can also make swimming difficult for some pets. So, while there are no regulations regarding life jackets for pets, a dog life jacket can help keep your pet safe while aboard your boat or around any body of water. Pet life jackets are designed to keep the animal afloat in a horizontal, swimming position. An additional, important function of a pet life jacket is as a retrieval device, should your pet fall overboard. Colour—choose a bright colour to make it easier to spot your dog in the water. Be aware of the local bylaws wherever you choose to land. Significant damage can be caused by dogs to native bird life in many locations around NZ. Dogs are not permitted on most land managed by DOC in the Auckland region, including all island conservation reserves (and their foreshores) of the Hauraki Gulf and around New Zealand. Where can I learn the rules of the sea? 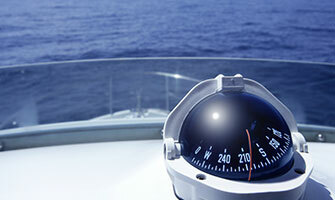 Boating education courses are available throughout New Zealand. 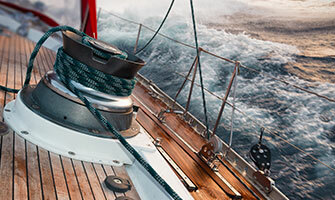 Great practical courses for new boaties are run by Coastguard and the Royal Yacht Association. 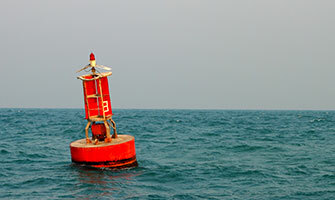 Boating courses are also run through commercial boating schools nationwide.